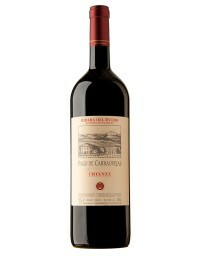 Wine Magnum Bottle Pago de Carraovejas, a wine from Ribera del Duero. Pago de Carraovejas is a unique wine, with its own personality, with its own personality, its own strength and character, which it obtains and treasures by accumulating sensations from its highly expressive aromas, its intense colour, its meaty, powerful and exuberant flavour, in which the characteristics of each of its varieties, Tinta del país, Cabernet Sauvignon and Merlot, are manifested, together with the essential nuances of the terroir of the slopes of Carraovejas. Tasty, elegant, docile and vigorous at the same time, these wines are capable of transmitting deep fragrances and palates, an experience rich in nuances that makes them last in the memory.